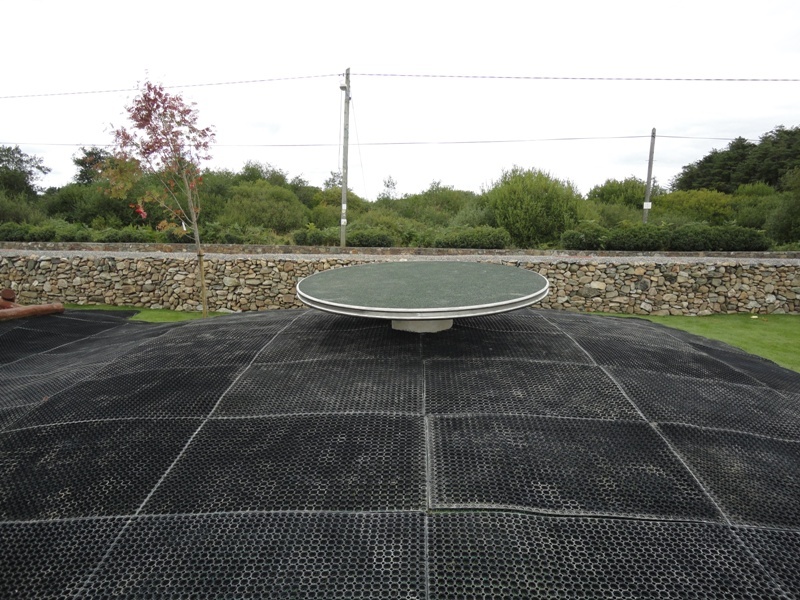 Product Description: A grass mat rubber surfacing system allows for safety surfacing with the least impact on the natural surroundings. The rubber tiles disappear from view once the grass has re-grown. Rubber mats meet the highest safety standards and are suitable around equipment with a critical fall height up to 3m. They have been tested to BS EN 1177 and approved by RARPA. The moulded non-slip cellular structure provides excellent durability and comfort. The large opening of 2.5cm diameter allows liquid and debris to drain away keeping the surface dry and clean. The mats absorb both shocks and noise. Rubber mat tiles can be used on flat or contoured landscapes and are suitable for all weather; extremes of temperature and resist wind uplift. 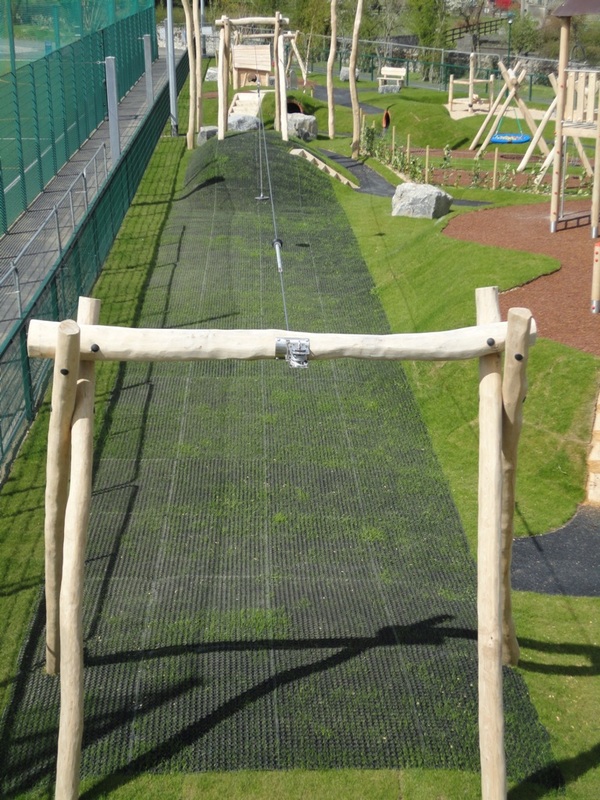 The matting is wheelchair and pushchair accessible. No costly ground works are required for their installation. In so far as is possible the main source of rubber for this product is recycled vehicle tyres.